TRIAL SESSIONS: I highly recommend scheduling a trial session, especially if you plan to wear your make-up in a style you’ve never worn. The day of your wedding will be very busy and a trial session ensures us time to experiment and find the exact look that works for you. 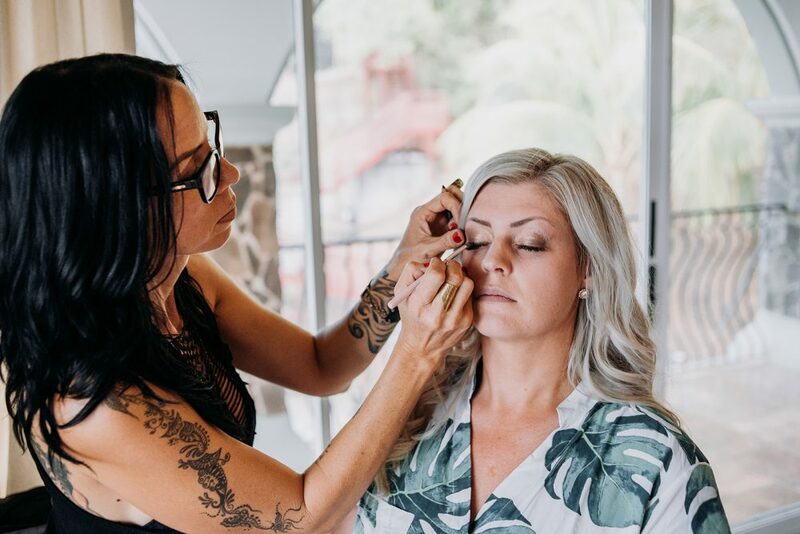 You’ll feel much more confident and relaxed knowing that your hair and/or make-up will look exactly as you envisioned it would. The cost for a trial session is $70. However, if you are located outside of the Tamarindo/Langosta area, travel fees will apply (please see below). TRAVEL FEES: There is no travel fee for weddings or trial sessions scheduled in Tamarindo or Langosta. The following pricing is for other locations. PAYMENT: Payment of your final bill can be made via bank transfer no later than 1 month prior to your event date or in cash the day of your appointment. CANCELLATION POLICY: I will check in with you 2 months before your wedding to confirm the headcount. The numbers provided by you will be used to execute your service contract. I require a signed contract back within 1 month of your wedding date. Once this contract is signed and returned there are no cancellations and you agree to the terms and services contained herein. Add on appointments can be made at any time.